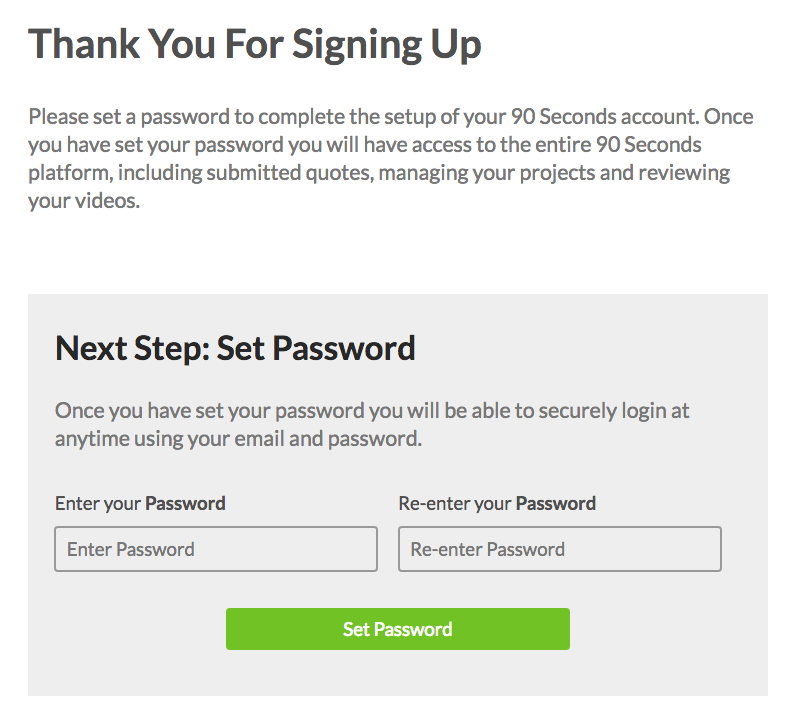 Creating video as a Brand is easy, but first you'll need to create an account. Follow these simple steps and you'll be ready to go in no time! 1. 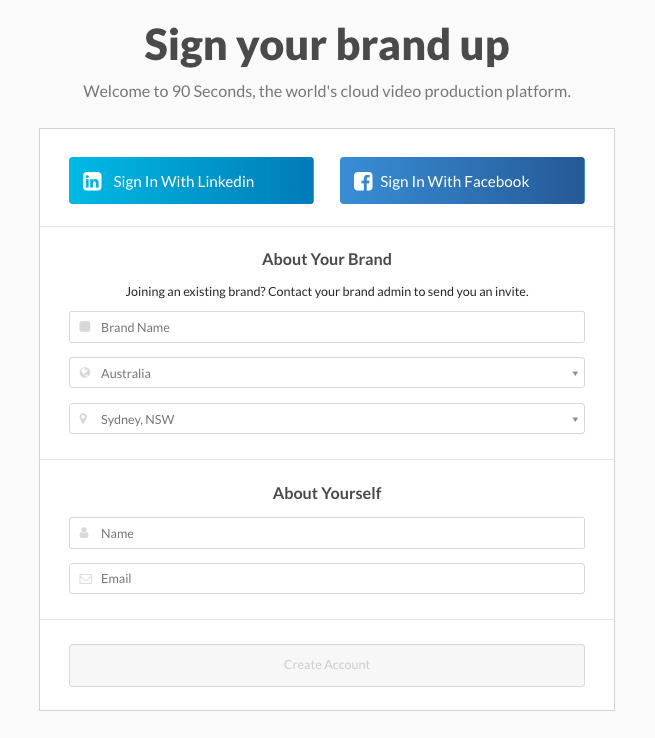 Click 'Sign up as a brand' and fill out your personal details.